based on science and inspiration? Want to easily share prevention and wellness principles with others? habits. Theories abound, creating confusion about what practices regarding nutrition and lifestyle can be trusted as the best course of action. And sometimes, what is recommended just seems too impractical to implement. This dynamic 12-part video series features leading experts in preventive medicine, who will help you understand the relationship between lifestyle and disease. 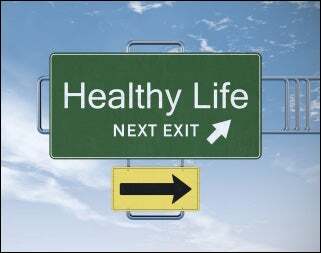 By engaging in simple, natural lifestyle habits, you can make a difference in the health you enjoy! While it is true that "heredity loads the gun," it is also true that "lifestyle pulls the trigger!" With God's help, you CAN take charge of your health! God desires that you experience a vibrant life, and He will help you implement the simple changes outlined in the StepFast Lifestyle Series. Follow the practical, easy assignments at the end of each program, and soon, you will learn to step fast! Each segment of the StepFast Lifestyle Series is presented by health educators who have seen measurable results in their patients who have engaged in lifestyle changes. 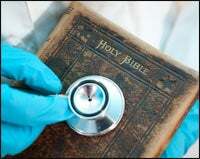 The material presented is based on the latest medical science and on God's Holy Word. Many of the contributors are health professionals from the Lifestyle Center of America, located in Sulphur, Oklahoma, which offers a popular 19-day health recovery program. Neil Nedley, MD, the author of Proof Positive: How to Reliably Combat Disease and Achieve Optimal Health through Nutrition and Lifestyle is one of the StepFast presenters, and many references to his outstanding book are made throughout the program. Other contributors are from Andrews and Loma Linda Universities, and from various conferences of the Seventh-day Adventist Church throughout America. Total health encompasses not only physical health, but mental, emotional, social and spiritual health as well. Each of these aspects of health is addressed during our series; and, to enhance your continued study, we've provided a list of additional resources on the CD-ROM. diet to include the moderate use of low-fat animal products should be used in countries where B12-fortified products are unavailable. The intent of the StepFast Lifestyle Series is to lead the viewer to better health, including a more active lifestyle and a diet low in saturated and trans fats, high in fiber, and as free of cholesterol as possible given the individual's circumstances. StepFast Resource Guides, WELCOME to StepFast! It is our desire and prayer that these practical, cutting-edge health presentations will help you learn how to make lifestyle choices that will enrich every area of your life! , fitness materials and the StepFast Seminar Guide, with step-by-step instructions on how to conduct a successful StepFast Lifestyle Seminar!